We live in a world where sales truly has become simple. However, we also live in a world, where we are being sold to every day. Where the rise in technology has stopped us communicating effectively – despite giving us the tools to connect with people across the world in seconds. Any salesperson worth their salt will tell you that making sales is all about the three ‘R’s’. When we’re selling (or finding it difficult to sell!) the immediate thought tends to be that we ‘need more leads’. I’m not a fan of this strategy. In order for sales to be made easily and effectively, we need to look at our conversion rates and consistently improve those, before we add more people into the equation. So how can we use the three ‘R’s’ to help convert our prospects consistently into clients – and help us generate better leads moving forward? Building a good relationship with your prospective client is key for top conversion rates. One of the biggest problems I see with entrepreneurs who are inexperienced when it comes to sales, is that they try and appeal to everyone. The easiest (and quickest!) way to develop great rapport with a prospect (and weed out those tire kickers!) is to have a clear, strong message and be able to pre-qualify your leads early. Put simply, this means creating content that speaks to your ideal client, helps them to self identify whether or not you are the right person for them to buy from and repels anyone who doesn’t identify with your core values / product or service message. This means developing high quality leads who are genuinely interested in buying from you. Example: Instead of saying ‘I’m a Health Coach for women’, you could develop a strong message that says, ‘I’m a Weight Loss Coach for women over 40 who are looking to lose that last ten pounds within the next six months’. This helps people self identify (are they the ideal client? Do they want to take action in the specified timeframe?) and pre-qualifies them to ensure that they’re a good fit for your services. Admit it, we all hate sleazy sales people. And one of the biggest images that we conjure up when we think of salespeople is the stereotypical ‘sleazy car salesman’. The type of salesperson who just won’t take no for an answer. Who comes across as caring only about his/ her commission cheque. When it comes to converting your leads into clients, you need to help your clients understand that a) you care about them and their situation and b) that you’re offering them the best solution for them. Customers actually enjoy a good sales process – and that means that once you’ve developed rapport, you need to spend time researching what they actually need right now. What is their biggest problem? What do they need help solving? After all, there’s no point trying to sell them something that they’re not struggling with – or they won’t be able to purchase, even if they really want to buy from you! Market research is absolutely key when it comes to converting your leads – make sure that you’re regularly emailing/ polling them to find their current problems. Remember, people enjoy being sold to when they think it’s relevant to them – and when it isn’t done in a gross or slimy way! Recommending the best solution for a specific problem, means that you sell with integrity – and that your leads understand that you genuinely listen to their feedback, understand the issues that they’re facing and are able to provide clear solutions. Recommendation vs hard selling, means that you also feel more comfortable positioning the sale. It’s much easier to say ‘if you’re struggling with [INSERT PROBLEM] then the simplest/ quickest/ most effective way to solve it is to [INSERT PRODUCT/ SERVICE DESCRIPTION] Your client feels heard – and you can safely extoll the virtues of your product/ service without feeling the need to overcome constant objections. Another huge mistake that I see salespeople make, is constantly chasing new leads. Remember, the lifetime customer value is much more than just that first sale. 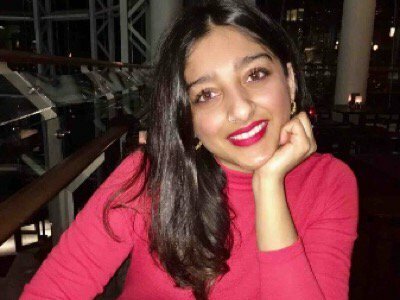 In my business for example, the average customer will spend around £20,000 with me. If I ‘forgot’ to ask them how I could continue to help them/ never asked for referrals/ didn’t create a value ladder that my audience could progress through (that benefits their results and my profit margins) then my business wouldn’t have grown as rapidly. Once your lead has become a customer, it’s much easier to keep them – than to try and always sell to cold leads. Make sure that you have a clear value proposition/ customer journey for your audience so that they can get the best results – and not have to go anywhere else to achieve them! 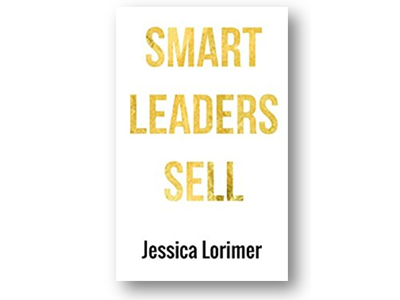 Following a successful corporate career, Jessica Lorimer launched her business, Smart Leaders Sell, and rocketed it to a multi-six figure coaching and consultancy business in less than 3 years. She shares her expertise in sales and leadership after her corporate success as one of the industry’s highest performing award-winning sales people.